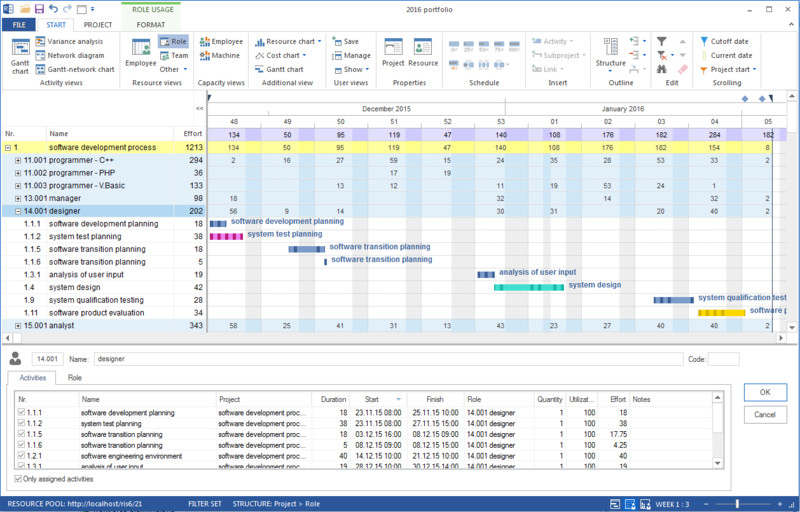 Rillsoft Project handles the duration/effort problem in resource allocation the following way: You define, which parameter - that is, duration, effort or duration & effort - remains unchanged and set the required values. The software assumes the task of calculating the other parameters and delivering a finish date or the resource requirement inluding utilization. Thus, it allows you to treat working results as activities, such as total efforts. 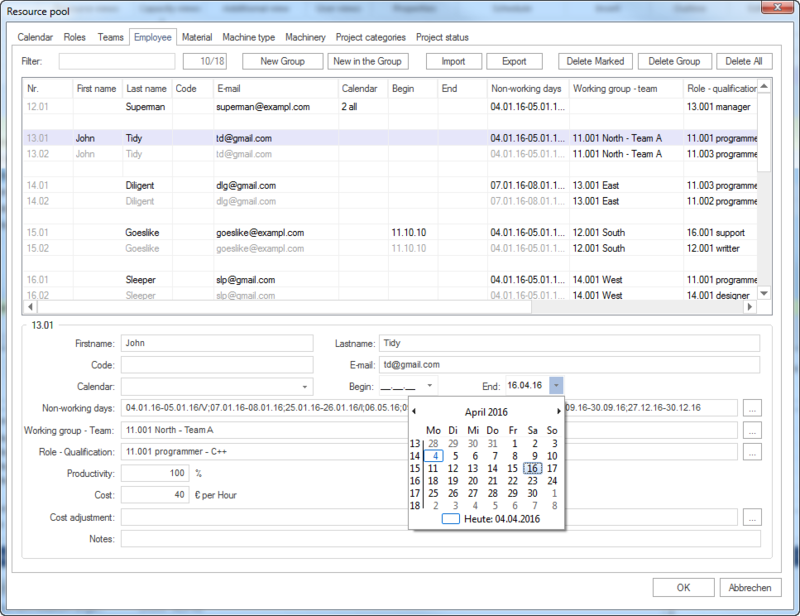 Once you have entered the data, Rillsoft will automatically calculate the duration by implying all available resources.